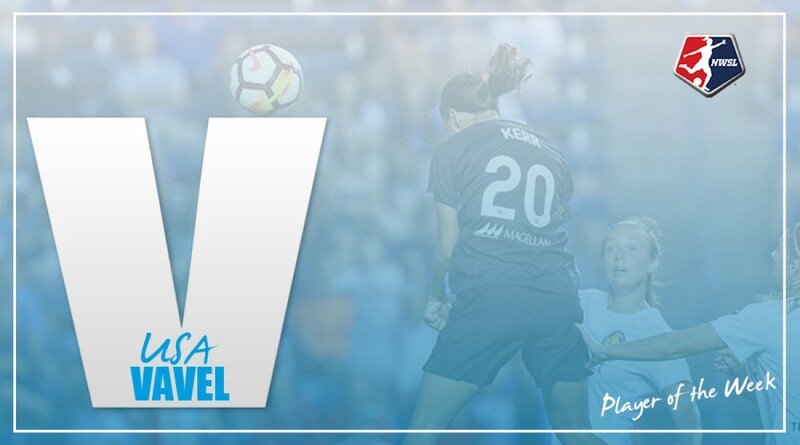 The Reigning NWSL MVP earned her first player of week honors for the 2018 season after a hat trick in a 3-1 win. 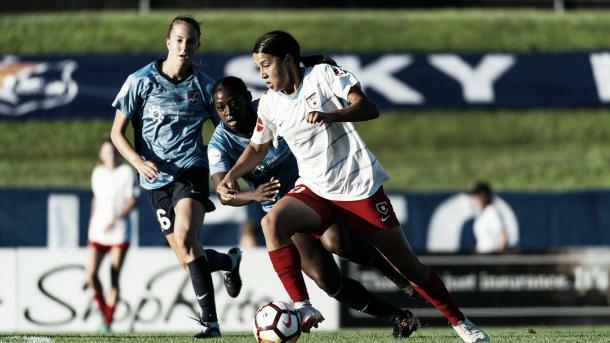 2017 NWSL MVP and golden boot winner Sam Kerr was named the NWSL Player of the Week for Week 15 by the NWSL Media Association. Kerr had a hat trick for the Chicago Red Stars in her teams’ win over her former team, Sky Blue FC on Saturday. Kerr’s hat trick also contained her 50th NWSL goal, the first player to reach that mark. She now has 51 career goals over her career at the age of 24. Kerr made her first return to Yurcak Field since being traded from Sky Blue in the offseason. She scored her first goal of the match in the 40th minute to break the deadlock and help Chicago go into halftime with a 1-0 lead. Less than a minute into the second half, she doubled the lead to make it 2-0 before scoring her final goal of the match in the 63rd minute to help the team go up 3-0. Chicago ended up winning the match 3-1. The Red Stars finished the week 1-1-0 record, losing to the league leaders North Carolina Courage in midweek before their win. Kerr had 16 shots over the two games, 10 of those came on Saturday. The one match has helped Kerr take the lead in the golden boot race for the 2018 season. She now has eight goals this season, one in front of second-place Crystal Dunn, Christine Sinclair and Lindsey Horan. This is the sixth time that Kerr has been named player of the week. It is the first time this season and first since week 17 of the 2017 season. She was named player of the week three times in 2017, and once in 2016 and 2014.